SIGN UP – GET THE FREE SCALE – THEN CANCEL YOUR ACCOUNT! You could probably sell the scale on eBay even! I use Stamps.com for my mailing needs and I highly recommend it. The service that they provide is a huge asset in that you can print your own postage from your own computer at home or work. (You can log into your account on different computers.) Without ever having to leave the house you can mail letters, packages and items that you sell on eBay. You can print shipping labels with postage on them or you can print paid postage directly onto envelopes. Have you ever had to wait in long lines at the post office? Had to deal with those lovely postal employees? Would you rather avoid the risk of someone “going postal?” Is the nearest post office 15 minutes away? Did they close your rural post office? Do you work during the hours that the post office is open? Is your time valuable? Do you sell a lot on eBay? If you answered yes to any of those questions then Stamps.com is for you! PLUS they will give you a bunch of FREE Stuff for joining them. I signed up online (it literally took just a couple of minutes) and immediately was given access to $5 worth of FREE postage after I installed the FREE Stamps.com software. (They also send you a FREE CD Copy of the software if you need it.) I actually used some of the postage right away to mail a letter (I printed the postage right on the envelope) and a small package (printed on regular printer paper then taped it on). I received a package just 3 days later with the promised FREE Digital USB Scale. 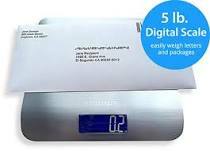 When you sign up for Stamps.com they will send you a brand new digital USB scale for FREE. This scale is a $50 value. It is a sleek stainless steel scale with a digital LCD screen on the front and the Stamps.com logo. The scale has a 5 lb. limit and comes with a 1 year warranty as well. It is powered by your computer via a USB cable. Plug it in and it is ready to go! If you continue the service past the trial period, you will get an additional $45 worth of FREE postage that can be redeemed in the following months. In addition, as a subscriber to Stamps.com, you have access to this awesome exclusive discount. 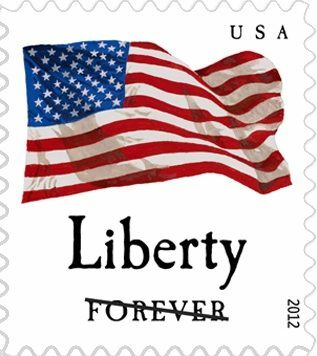 If I decide to continue my service with Stamps.com, which I fully intend to, it will cost me $17.99 per month. I got a FREE digital scale and $5 FREE postage with my initial sign up. I did have to pay about $10 shipping. I could cancel at this point and keep the FREE Scale. I plan on keeping the service so I will also get another FREE $45 worth of Postage. The total value is $100 but I paid $10 shipping so I received $90 worth of FREE Stuff from Stamps.com. 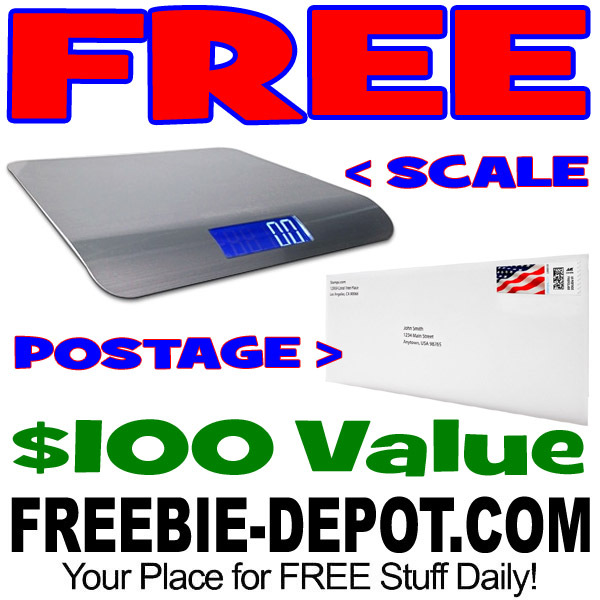 The question you have to ask yourself is this: Is it worth $10 to get a $50 digital scale and $5 postage? I think, yes. Then ask, is the time and the convenience of the Stamps.com service worth the $17.99/ month service charge? If yes, great do nothing and get your additional FREE $45 postage. Save time and money with Stamps.com. Sign up today for a FREE $100 offer! I highly recommend Stamps.com for convenience, savings and FREE stuff! I heard that their scale only works with their service, that it wont work with 3rd party software. I have no idea if it works with 3rd party software. The scale doesn’t work with a computer directly off the bat. However, someone made a driver for it, with a readout program. Just search for ‘Stamps.com scale driver’. Also, I think it is only compatible with the 5LB Scale, and not the bigger one. I was going to join them last night but, I wanted a bit more info so I googled and 3rd from the top was a complaint list of 410 different complaints against Stamps.com. After reading all that I decided it was better to stick with the real guys so I registered with the USPS online service. Then I went and bought an 80lb scale off of ebay for less than $20.00 & I bought the big labels 200 for $7.00. In this case getting a scale for only 5lbs. that may or may not work and $5.00 of postage, not worth it, a lot of the complaints had to do with people cancelling and still getting their credit cards charged. i’m over weight. can you help me keep track?